February 15, 2013 - Airbus is confident that the lithium ion (Li-ion) main battery architecture it has been developing with Saft and qualifying for the A350 XWB aircraft is robust and safe. The A350 XWB flight test program will continue as planned with the qualified Li-ion main batteries. On 16th of January All Nippon Airways Flight NH-692, en route from Ube to Tokyo Haneda, had received indications of battery problems, followed by a burning smell while climbing from Ube, about 35 nautical miles west of Takamatsu, Japan. The pilots decided to divert to Takamatsu, where the plane landed, vacated the runway, and was evacuated via slides. Inspection of the battery compartment revealed that they had suffered a battery fire. This, along with a very similar incident of a parked Japan Airlines 787 in Boston that also had a battery fire within the same week, led the Federal Aviation Administration to ground all Boeing 787s that were flying at the time. On January 16, 2013, the FAA issued an emergency airworthiness directive ordering all U.S.-based airlines to ground their Boeing 787s until yet-to-be-determined modifications are made to the electrical system to reduce the risk of the battery overheating or catching fire. Due to the unknown root causes of the two recent industry Li-ion main batteries incidents Airbus has decided to activate its “Plan B” and therefore to revert back to the proven and mastered nickel cadmium main batteries for its A350 XWB program at Entry into Service (EIS). Airbus considers this to be the most appropriate way forward in the interest of program execution and A350 XWB reliability. In parallel, Airbus has also launched additional maturity studies on Li-ion main batteries behavior in aerospace operations and will naturally take on board the findings of the ongoing official investigation. 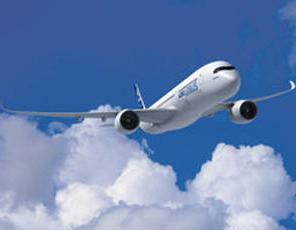 As a result of making this decision now, Airbus does not expect it to impact the A350 XWB Entry Into Service schedule.